Almost equidistant between Montréal and Québec, the Hotel Sacacomie is ideal for those who like to city hop whilst kicking back and getting a little closer to nature. Surrounded by a plethora of lush green woodland, this picture perfect lodge really sets itself apart. Tuck into delicious dishes at one of four dining spots, or, nestle down in your huge forest side room for a rural retreat that’s like no other. 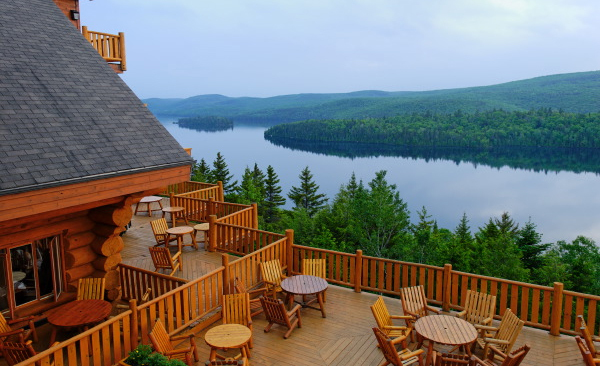 Overlooking a spectacular lake that covers 42 kilometers and borders with the Mastigouche wildlife reserve, this hotel is in the perfect position for outdoor activities. It’s also only a 90 minute drive from Montréal or Québec, making it great for those wanting to explore the Québecois city-scape. The suites at Hotel Sacacomie are utterly spoiling. All rooms are decorated in authentic wooden panels and boast plenty of space. Each hosts views of the forest so you can look out for the abundance of wildlife, or gaze out across the enchanting lake. 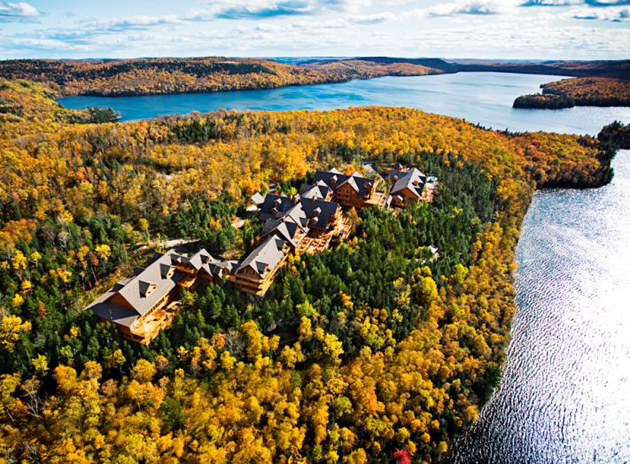 Hotel Sacacomie offers a true experience of the Canadian wilderness. Whether you want to treat yourself in the astounding Geos Spas or dine al fresco at The Terrace, there are plenty of opportunities for indulgence here. What particularly stands out is the huge amount of activities on offer year round. From taking a flight on a seaplane to looking out for beavers and bears, Hotel Sacacomie is the ultimate winter playground.